A custom stereoscopic VR camera. 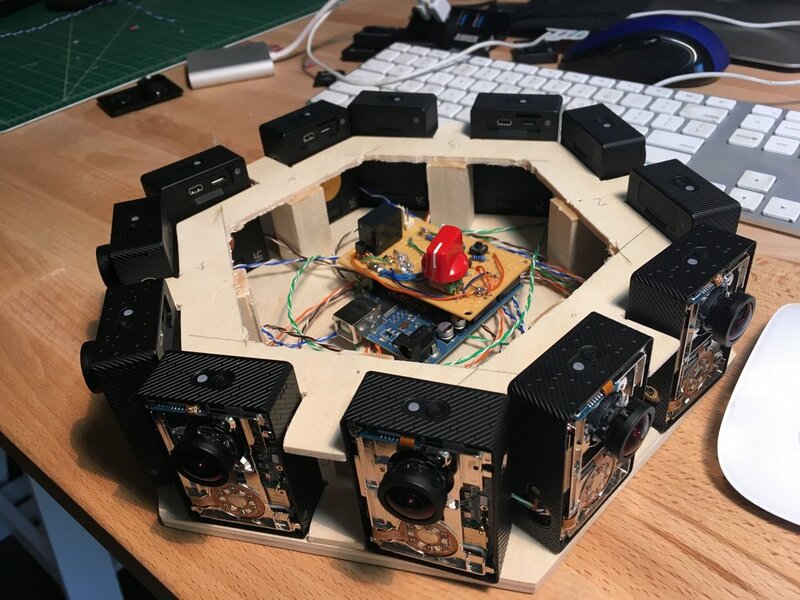 Hedwig is a home-built 360 VR video camera. The camera films a full 360 degree panoramic video for each eye. When the footage is viewed in a VR headset (like the Oculus Rift, GearVR or even Google Cardboard) it provides a lifelike sense of depth and a fully immersive experience. In addition to designing and building the camera, I also built an iOS app to control the camera, and a MacOS app to manage the immense amount of footage generated by the camera. I took it to over a 100 locations across 14 National Parks and Monuments. Footage can be viewed in the official Youtube App on any iPhone or Android device.